“Disruptive Technologies in the Financial Services Industry” Are you feeling the change? 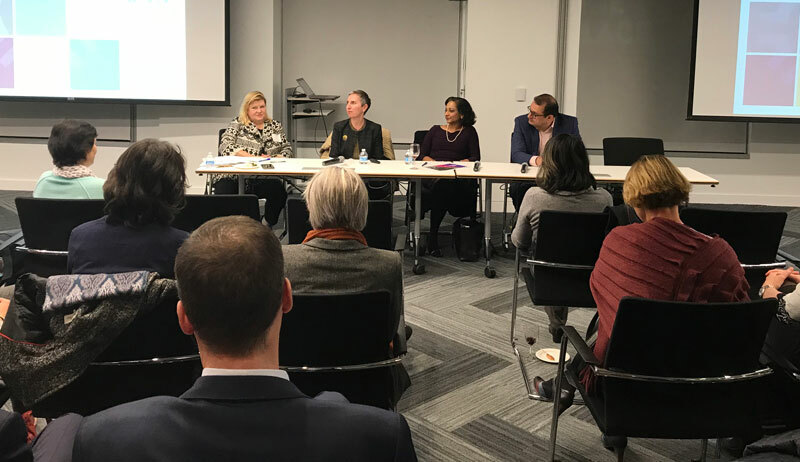 On November 13th, over 40 people attended the three-person panel at KPMG for a riveting discussion on technologies that are disrupting the financial services industry. The conversation started with Shafi Yusuf, head of Enterprise PI Management/Enterprise Reengineering & Robotics/SVP at Bank of the West, discussing some of the highlights and advantages of robotics and artificial intelligence (AI) in the financial services industry. He spoke about traditional legacy processes and how AI is changing the way companies are looking at their processes. This is an essential assessment to stay relevant and competitive in the marketplace. Next up, Alaina Gimbert, SVP and associate general counsel at The Clearing House, spoke about what role FinTech companies play in bridging traditional banking and emerging technologies. Her main driving point was that technology allows for banking to be real time, easy and fast. Then Marina Gracias, general counsel and corporate secretary at Varo Money, continued the conversation reiterating FinTech companies have a lower barrier to entry compared to branch networks. This allows for more financial inclusion. The panelists spoke about their respective topics while answering questions from the engaged audience. 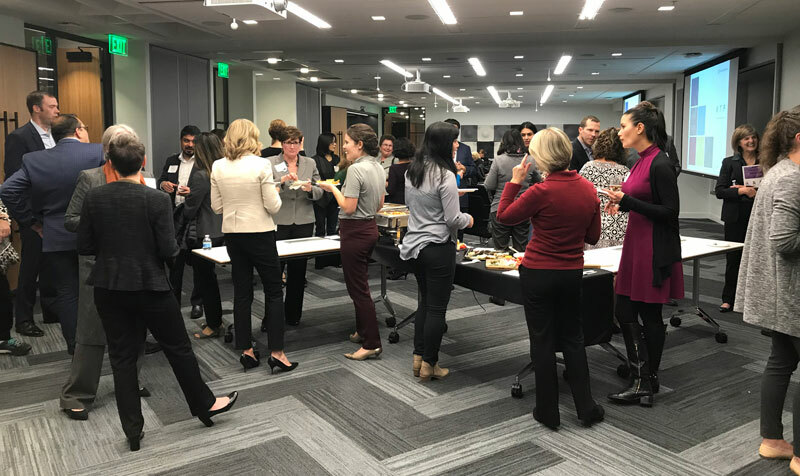 The underlying theme throughout our discussion was that technology is bridging a gap and paving the way for a changed landscape in the financial services industry. How does this apply to your personal career and your company? Stay tuned, this conversation is one that is here to stay.